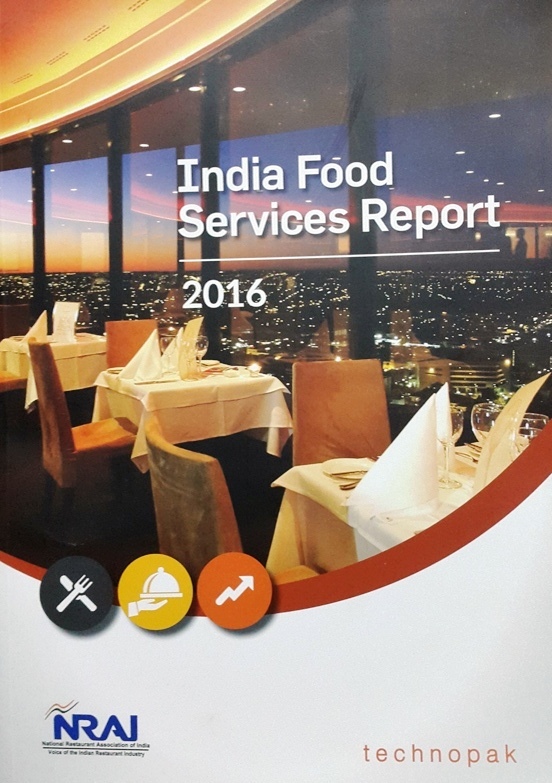 The National Restaurant Association of India released its Bi-yearly report on September 19, 2016. Presided by NRAI President and the CEO of the Impresario group, Riyaaz Amlani – the report discussed the food services market, trends, gains and the challenges encountered by the Hospitality sector. 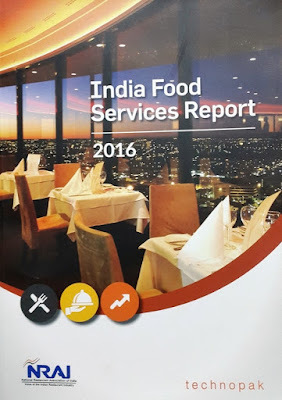 Attended by some of the biggest names in the Indian food corporate world, leading journalists and even a few well known Instagrammers and bloggers - this event not only released the Bi yearly report to the world but also discussed some of the issues listed within the report. The panel members discussed the growth of the hospitality sector in the past few years. Being several times larger than Bollywood, Railways and Star Hotels - the organized restaurant sector is poised to attain greater heights in the years to come. The sector contributes greatly to national employment and the centre’s taxes but still faces major roadblocks that slow its growth and hinder it from reaching its full potential. Without the obstacles and in a possible alliance with the Government its obvious that the restaurants will get more business, contribute more taxes and even help the Tourism sector. A win-win situation for all stake holders involved. The report is a treasure trove of data regarding the trends in the hospitality sector. It discusses several brands as case studies and lists in depth data relating to different classes of restaurants. It discusses the benefits and contributions of each type as well as the roadblocks faced by each. Mr. Amlani points out that many of the top restaurants of 2014 are no longer operational in 2016. He explains that it is not due to the lack of business but mostly due to the red tape and excessive property rates. India is often said to be a third world nation with commercial estate priced at first world rates. This makes it a tricky equation for restaurants as they have to juggle between excessive first world rents and managing to serve a quality menu that fits the pocket of their third world clientele. Several comparisons are made to countries where the local governments work in unison with the restaurant sector. Well known roadblocks that hinder restaurant business like the License Raj, lack of unity between the Government and the Restaurants, Regulation regarding food trucks, Rooftop restaurants, Longer business timings are discussed as well. The panel directly engages the event’s Chief guest and the honorable Minister of Tourism, Mr. Jaykumar Rawal with their grievances. The honorable minister assured the panel that the Government is already looking into many of the issues and that one may see results soon enough. As a food Blogger, I look forward to the development of the industry I am related with. Not just the government but even the Hospitality sector has work to do. It must employ the new age digital tools and social media to promote its growth. The future is online after all. The age of Newspaper Ads, TV Commercials, Flyers and hoardings has been replaced by the age of Blogs, Instagram, Twitter, Facebook and Snapchat. The restaurants can directly engage prospective audience (Both domestic and international) with interesting content online. Restaurants need to work in concert with bloggers and social media influencers. While this has already started in the recent few years, it is just the beginning and still lacks refinement.